At a special meeting on Tuesday, January 5, 2016, the Board of Trustees of the Peralta Community College District appointed Krista Johns, JD, to serve as interim president of Berkeley City College. Johns’ appointment comes as the out-going president, Dr. Deborah Budd, assumes the position of Chancellor of the San Jose-Evergreen Community College District. Johns will fill the position until a permanent president can be hired. “I am very pleased that the Trustees have made this appointment and look forward to working with Dr. Johns on the important issues facing Berkeley City College and the Peralta Colleges generally,” said District Chancellor Jowel C. Laguerre, Ph.D.
For the past four years, Johns has served as Vice President for Policy and Research at the Accrediting Commission for Community and Junior Colleges of the Western Association of Schools and Colleges (ACCJC). Prior to joining the ACCJC, Johns served as Vice President of Instruction at Berkeley City College. 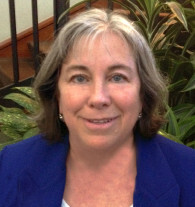 Over her higher education career, Johns has held faculty, director and dean positions at the University of Mississippi, University of Nevada-Reno and Diablo Valley College. She has a Juris Doctor Degree from the Illinois Institute of Technology Chicago-Kent College of Law, and a Bachelor of Arts Degree in Political Science from the University of Wisconsin-Parkside. Johns has published articles and monographs on learning, change management and various legal topics. “My four years at the ACCJC have been invaluable in enhancing my understanding and knowledge of community colleges across the state, the challenges they face, and the importance of adherence to quality standards” said Dr. Johns. “The accreditation work heightened my awareness of the critical role district and college leaders have in actively supporting academic quality, and how their effective administrative practices can enhance student learning and achievement,” she added.